The concert, hosted by Sapphire Coast Music Society, titled ‘Tell me the Truth about Love’, will feature the music of Benjamin Britten (‘Cabaret Songs’ composed with poet WH Auden), Purcell, Mozart, Mendelssohn, Bizet, Cole Porter and Edith Piaf. 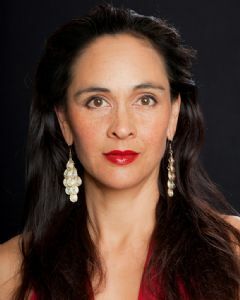 Eliane Morel currently works as a concert singer throughout Sydney and Regional NSW. She has appeared recently in several concerts for Newcastle Festival Opera, most recently a joint production with Newcastle Musical Viva. In November she will travel to Cuba with her choir, Voices from the Vacant Lot, to perform at the International Choral Festival. Ms Morel studied at the Canberra School of Music, then went on to study at the ANU and completed her BA (Hons) in Theatre Studies at the UNSW. In addition, she has completed a diploma in Playwriting at NIDA. She is a Theatre-in-Education actor, currently starring in the Lucky Country, Letters from France, and Women of Shakespeare for Starrs Productions. For the Bega twilight concert, she will be accompanied on piano by Bill Hawkey who will also perform two brackets of piano solos. Emeritus Professor Hawkey, MBE, OAM has had a distinguished musical career in Australia, New Zealand and overseas. He retired in 1998 as Professor and Director of Music at the Australian National University and now lives near Bermagui. Since living in this area, he has used his expertise to promote music in the region including directing the Narooma Montague Choristers for 11 years, conducting the Nomads choir for a number of years and organising artists for the Sapphire Coast Music Society concerts and the twilight recitals. The Eliane Morel twilight concert will be held at the Bega Valley Regional Gallery in Zingel Place, Bega from 5.30pm to 6.30pm on Wednesday 30 September. The concert is free but donations to cover costs are welcome. Light refreshments will be available.